BH Mallorca Apartments are situated at the heart of Majorca's party capital, the resort of Magaluf. This adult-only apartment complex opened its doors in 2007 and combines its trendy guest accommodation with a vibrant and lively location, a plethora of on-site leisure facilities, and dining and drinking options. 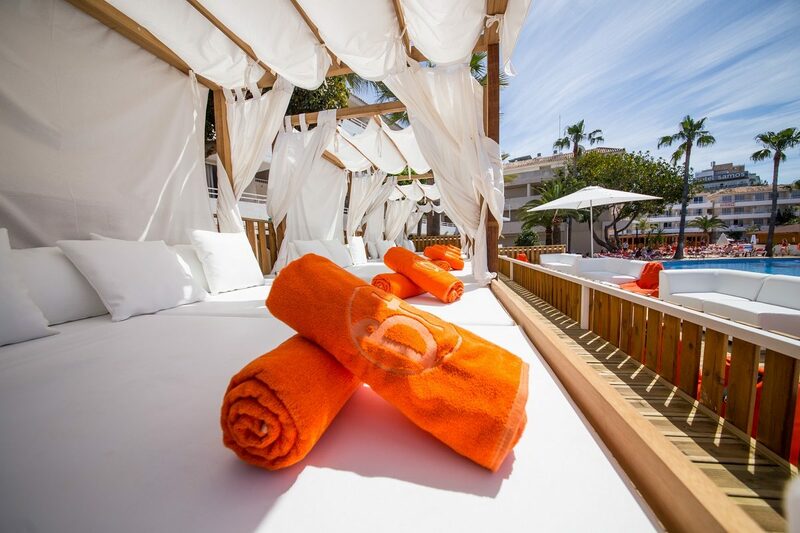 Daytimes here centre on the pool area and beach club events, which feature lively music and extravagant pool parties. Splash around in the first adult-only water park and slip down the slides in style. Get active with a workout in the fitness centre or head back into the air-conditioned hotel to use the computer station to reach family and friends back home. 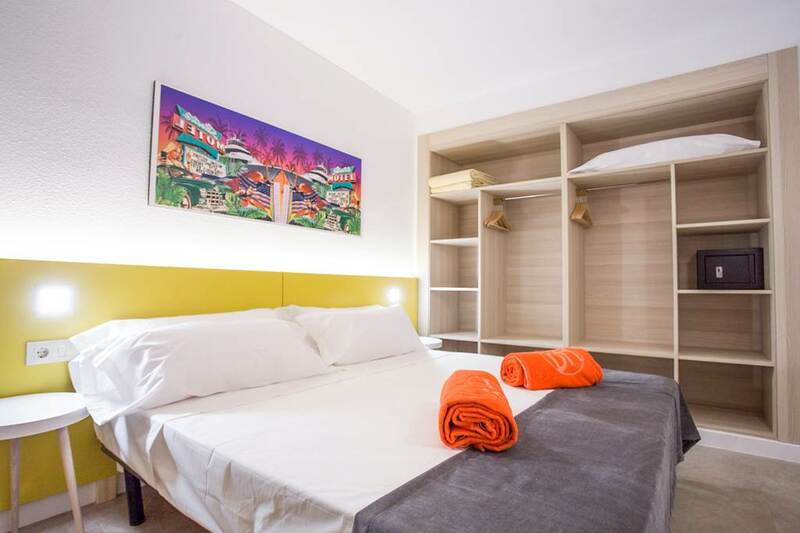 The stylish guest units are kitted out with bright colours and come with all the essentials you need for your stay. There's a satellite TV, high-speed Wi-Fi access, and air-conditioning as well as comfy beds to aid a restful night's sleep. Sit on your balcony with a drink in-hand as you watch the world go by or get a glimpse of the bustling pool parties below. 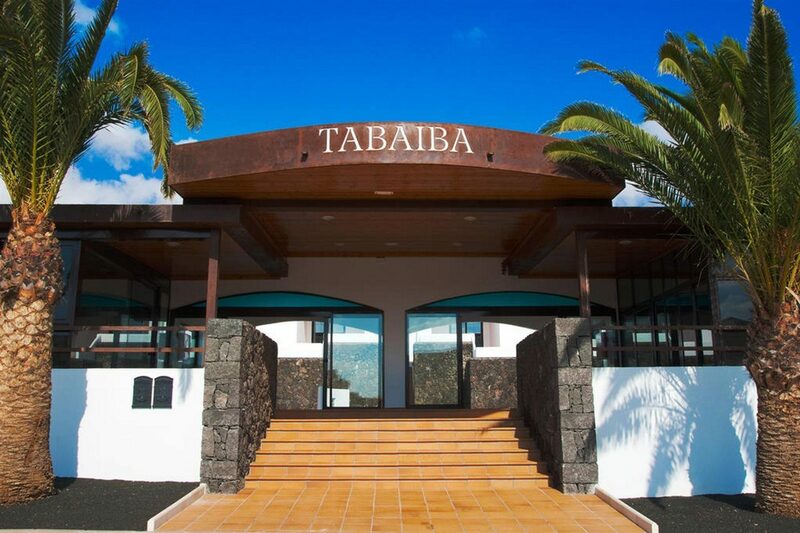 The main on-site restaurant is buffet-style and will take care of your food cravings. Dine in style by the pool with access to the pool bar for tasty light bites and cooling drinks. With three bars to choose from, you're never far from your favourite tropical cocktail. 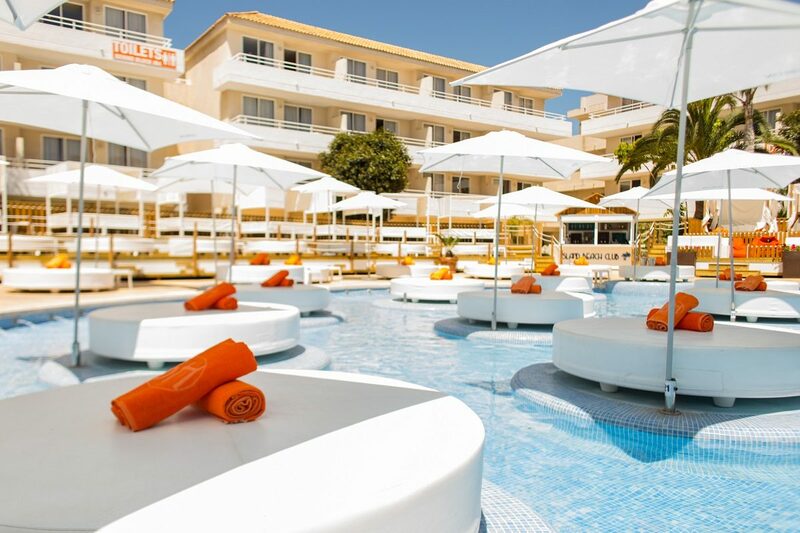 Filled with non-stop entertainment, BH Mallorca Apartments really does bring life to the party! 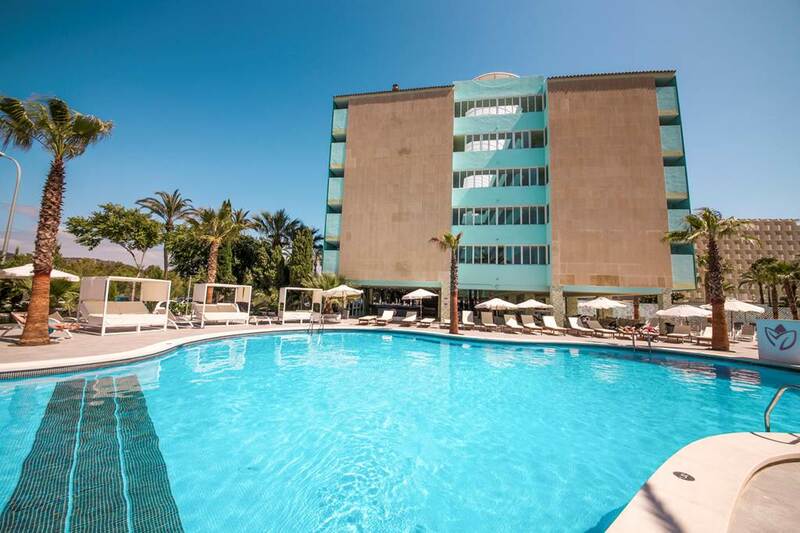 Discover why BH Mallorca Apartments are a popular place to stay for Majorca holidays. BH Mallorca Apartments offer abundant facilities, including: two outdoor swimming pools, water park, buffet restaurant, three bars, beach club, fitness centre, terrace, computer station, complimentary Wi-Fi access, air-conditioning, 24-hour reception, luggage storage, airport shuttle, currency exchange, and multilingual staff. 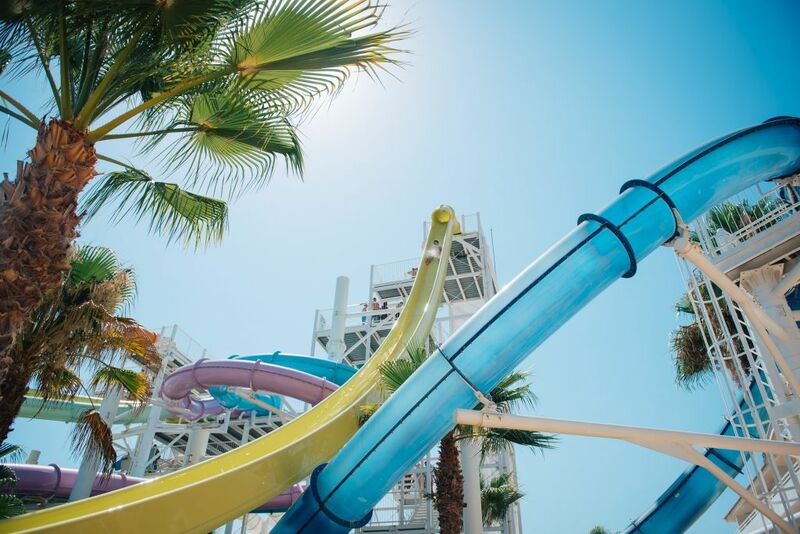 The on-site water park TWISTED is the world’s first adult-only water-park and features nine slides, three giant Jacuzzis, and a wave pool. 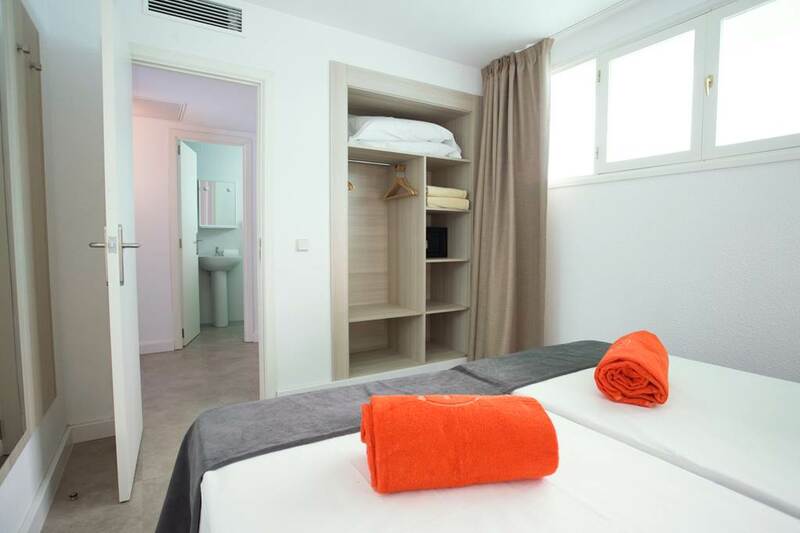 This Magaluf holiday complex has a total of 120 modern One Bedroom and Two Bedroom Apartments. 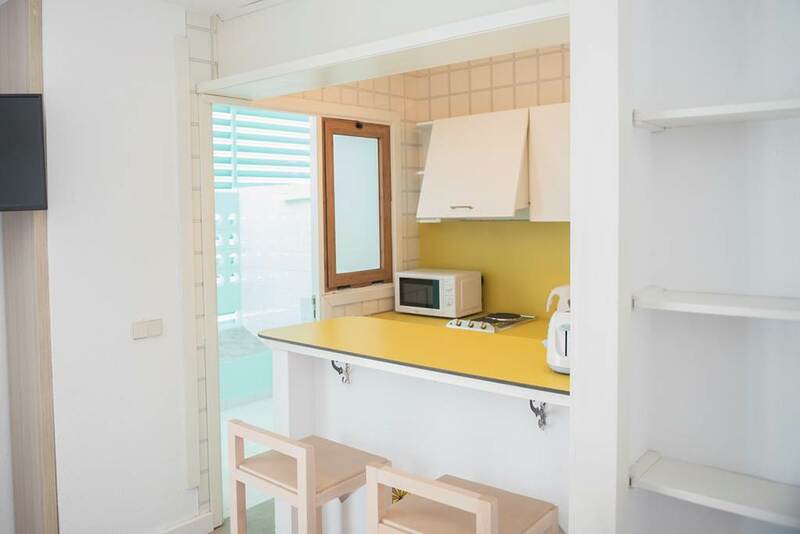 All apartments feature a balcony, two single beds, living room, walk-in shower, satellite TV, hairdryer, telephone, safe, kitchenette, complimentary high-speed Wi-Fi access, and air-conditioning. Buffet-style breakfasts, lunches, and dinners are served in the main restaurant. There are also three bars; Stage Bar, Waterpark Bar, and Pool Bar ideal for grabbing light snacks and a range of refreshing drink options to enjoy by the water's edge. 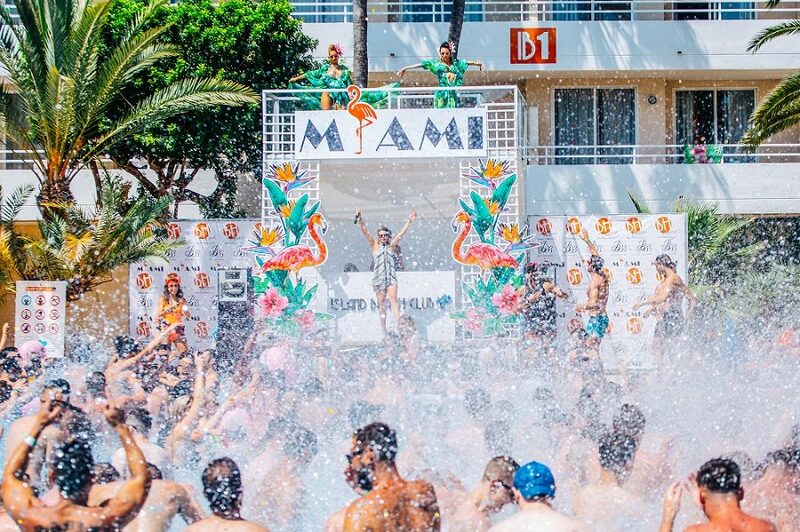 Island Beach Club is home to the most exclusive daytime pool parties including Kiss FM and Poolstar.